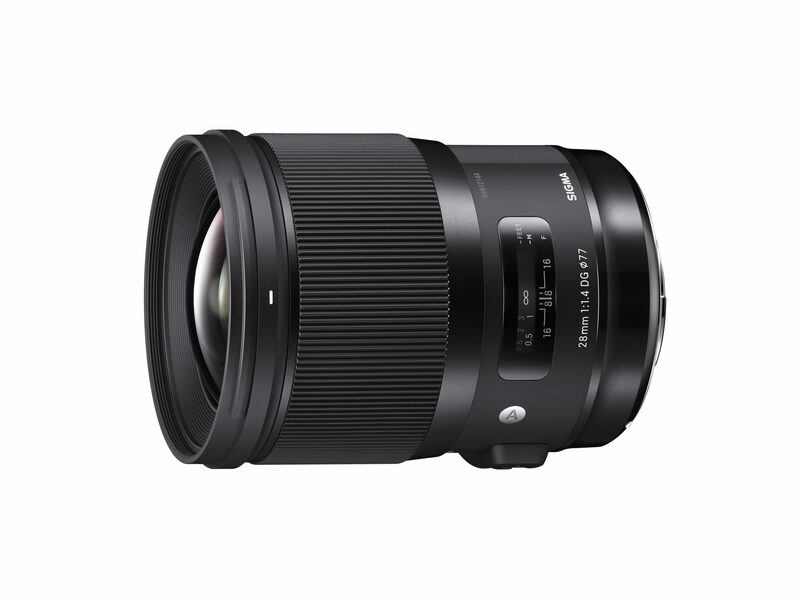 Announced in the run up to Photokina 2018 alongside the 40mm F1.4 DG HSM Art, Sigma has officially introduced the 28mm F1.4 DG HSM Art. Along with the 40mm, the new 28mm lens nicely round’s off the Japanese company’s high-speed, premium Art series range of wide-angle lenses, which now comprises of five primes, ranging from 14mm to 35mm. Specifications were confirmed at the show but in case you missed them, it has 17 elements in total including two fluorite-like ‘FLD’, three ‘SLD’ (Super-Low-Dispersion) and three aspherical lenses, which the company claim offers “best in class performance”. The 28mm focal length is traditionally aimed at environmental portrait and landscape photographers. The high-speed and highly corrected design promises low axial and longitudinal chromatic aberration, but the effective suppression of sagittal coma flare or ‘coma’ which would otherwise result in distorted off-axis point light sources and should also appeal to those wishing to capture night skies. A unspecified coating, presumably fluorine, is applied to the front and rear elements to make it easier to remove fingerprints and drying marks from rain or water splashes. As with more recent Art series lenses, the 28mm F1.4 is sealed against dust moisture and features a sonic-type motor for responsive and quiet autofocus. The 28mm F1.4 DG HSM Art will be available later this month (January) in Sigma, Canon EF and Nikon F mounts at £1,099.99. Sony E-mount will follow later, though no date has been given at this time.